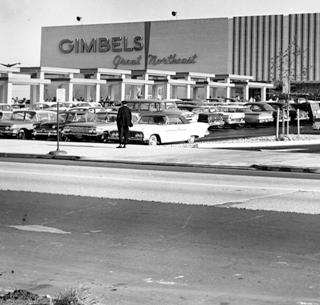 As I entered the general manager’s office in the Gimbel’s Cheltenham department store, the mood was surly. Picking up an ad for my Philadelphia newspaper was usually pleasant. Sometimes conversation about merchandising for the 250,000 square foot emporium. Other times small talk and smiles, but not today. It was a Spring afternoon in the late 1970s, and two hours earlier a tall blonde, wearing only a string bikini and high heels, strolled into the store and began walking from department to department, finally covering all three floors in about 45 minutes. She did not go unnoticed by the store staff or customers, and more than a few males seemed to wander after her at a safe distance, pretending to be interested in this or that sale display. Ten minutes after she left, the Fine Jewelry department reported items worth several thousand dollars had been shoplifted. Then, other managers began counting goods and finding shortages. It seems that while the blonde was walking, two accomplices were taking the goods. The moral of the story is keep your eye on the ball, not the imaginary prize. Today, the target is not shoplifting, but picking the pockets of middle-class Americans and trying to make them think they are being blessed by their suave political rulers. Any pickpocket will tell you it’s all about distraction and confusion. Show with one hand; steal with the other. Which brings me to the dream of getting more money in your paycheck, because the government has changed the tax laws. News pundits have spent the past three weeks talking about how pleased and surprised you will be from your 2018 withholding tax cut. To demonstrate this is just more baloney, here is a table based on calculations by Yahoo Finance, where I switched the results from semi-monthly to weekly. There is both good and sad news. Good news is that your withholding will decrease by $628.62 a week – if you earn a million dollars a year. The sad news is that if you earn $10,000 a year, your net wages will increase a chicken feed $2.70. If you are lucky to be making $25,000, you will have $5.54 more a week to spend at your local Dollar Store. The median family wage in the United States is about $30,400 – half of us make more than that, and half less. Republicans who passed the tax bill, with no support from Democrats, hope voters will reward GOP politicians for their largesse when midterm elections arrive next November. Now, that we know most of us are getting less than a Hamilton ($10) a week, don’t you wonder how this will affect Yahoo, the purveyor of so-called good news? Verizon Communications Inc. said it expects to book a nearly $17 billion gain in its fourth-quarter profit due to the new tax law. Reducing the corporate income-tax rate will slash Verizon’s $48.3 billion deferred tax liabilities by $16.8 billion, the company said in a securities filing Wednesday. …the one-time change will add $4.10 to the company’s 2017 earnings per share. Analysts had estimated 2017 earnings of $3.68, excluding any special items, according to Thomson Reuters. In 2016, Verizon’s per-share profit was $3.21. And in the future Verizon will see its federal tax drop by 40% every year. To put this all in perspective – just the one-time benefit for one corporation, $16.8 billion – is about equal to giving every single one of the 170 million employed persons in the nation a $100 bonus. If you do the math, that $100 bonus is the same as 37 weeks of a $2.70 cut in withholding.